Last wednesday (18 Feb) several lovers of wetland fauna joined forces to participate in annual winter elk head count. We counted animals using so-called battue method. Majority of participants (approx. 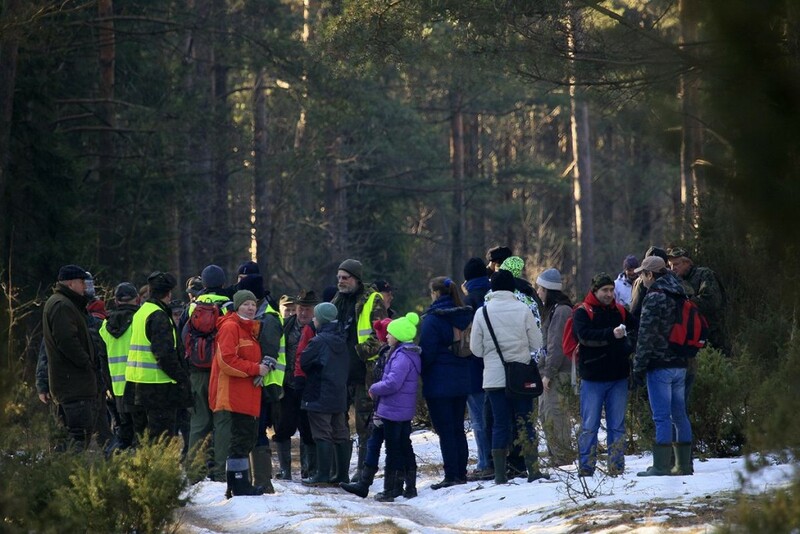 80 persons), lots of Volunteers amongst them – were beaters, e. g. people that walk in line through the forest and flush the animals to direct them to the observers. We completed 3 battues in one day: one near Sośnia village and two near Tajno lake. After the work we had a nice traditional Polish meal at a forester's lodge – hot pea soup, tasty bigos and sausages baked on a campfire. 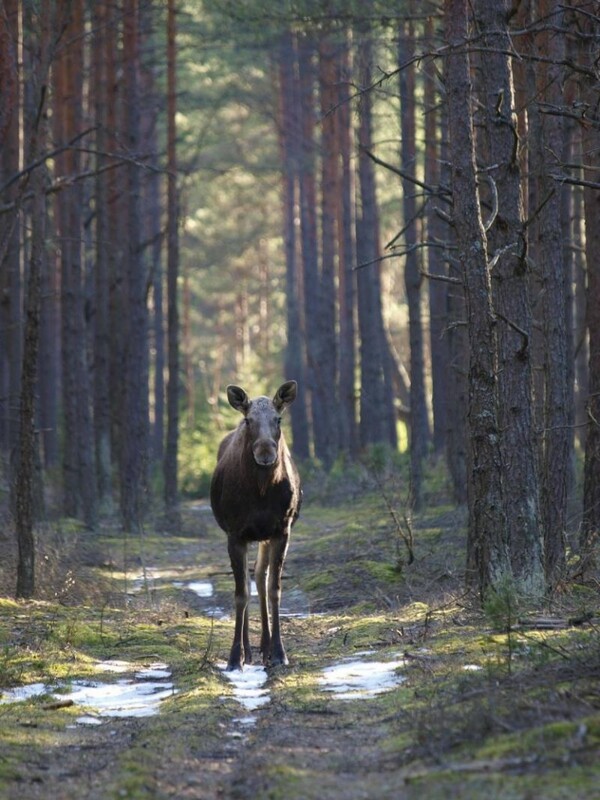 Everyone willing to participate in the second part of elk inventory is welcome to join us in Tuesday (25 Feb). 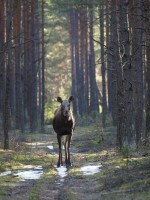 We will count moose near Carska Droga (Tsar Route). Details published on the website. 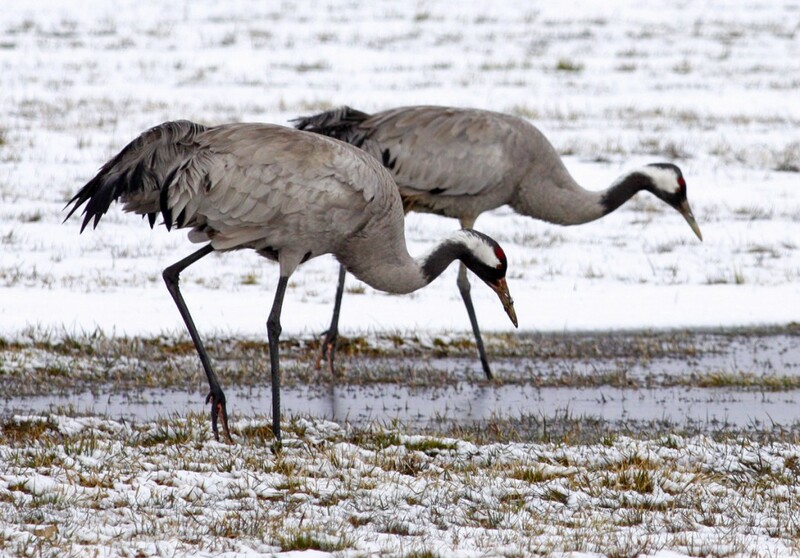 Early thaw in Biebrza river valley in late February made it possible for cranes to return to nesting areas. 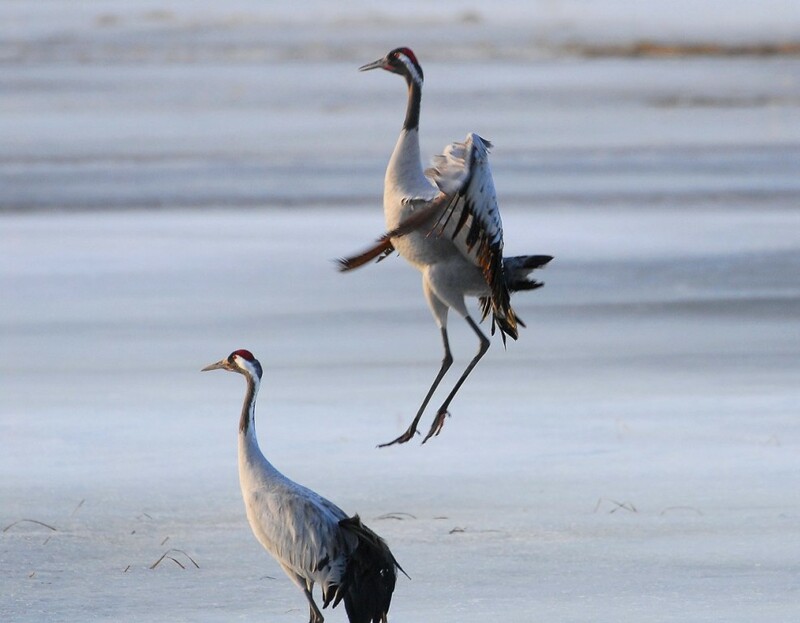 Clangor of first cranes was reported by the Park Service in forests surrounding Gugny village on Valentine's Day, Friday 14 February. 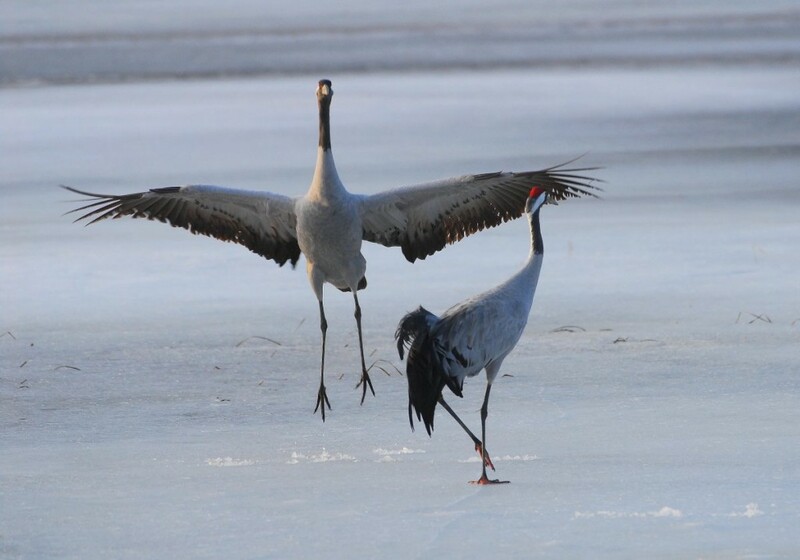 On Sunday (16.02) another crane couples near Tsar Route (Carska Droga) were affirming their return. 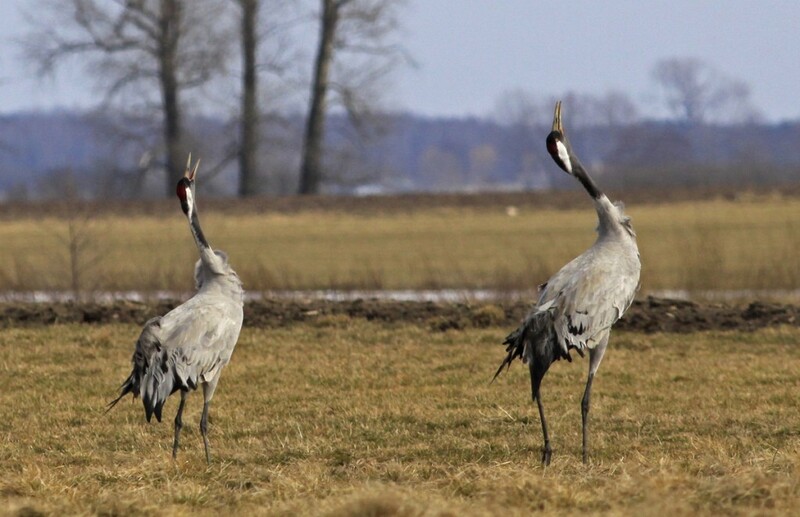 From now on, cranes will remain characteristic inhabitants of Biebrza Valley that announce upcoming spring. 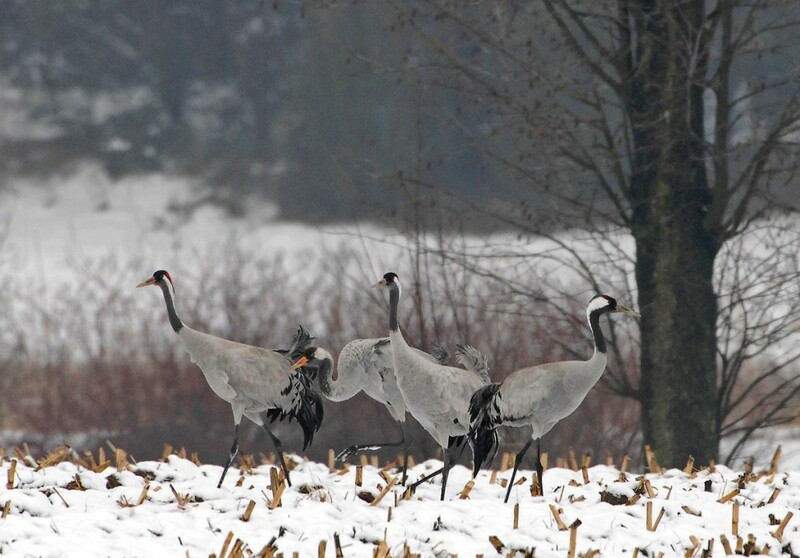 It is the earliest crane return in Biebrza National Park during several latest years. 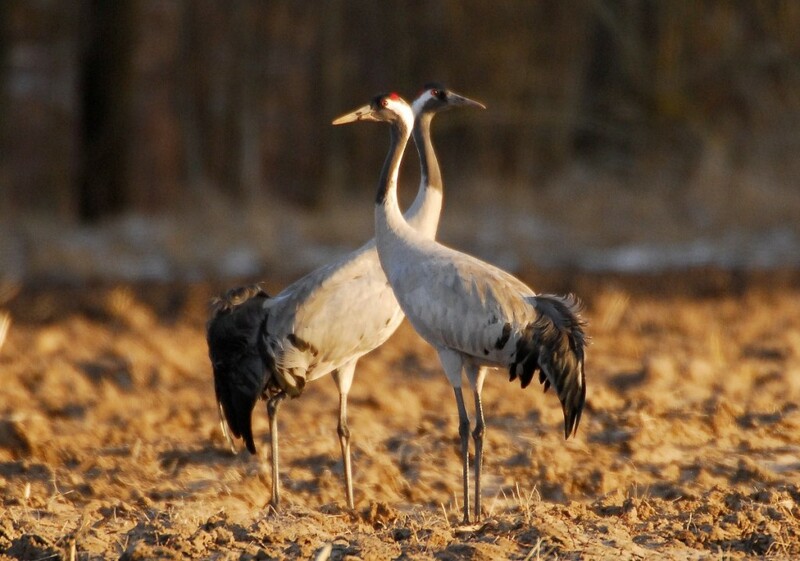 Average date of crane return to Northern Podlachia, according to data from ww.avestom.com, is 27 February. The data don't apply to birds staying in Poland for winter. Wintering cranes were reported before chills in mid January. Greylag Geese were equally fast. In this case, however, it's much more difficult to tell the difference between returning and wintering birds. Few days after the cranes also first larks were reported. 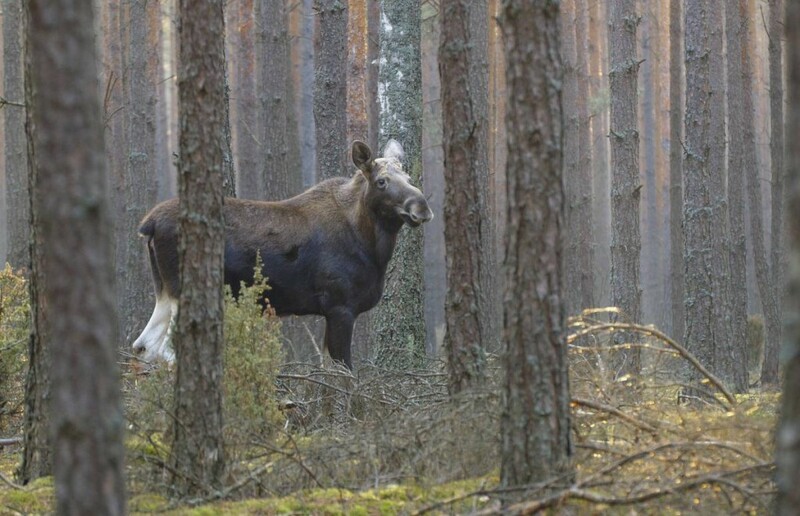 We heard them calling during first elk head count 18th Feb. Another spring forerunners probably will be observed soon, for example during the field trip of 45 Wszechnica Biebrzańska (45th Biebrza Varsity). Switch to a high-contrast website. Return to the default website version always after choosing the link: „Graphic website version” located in the upper section of the website.